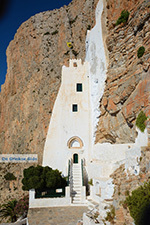 Hozoviotissa monastery. 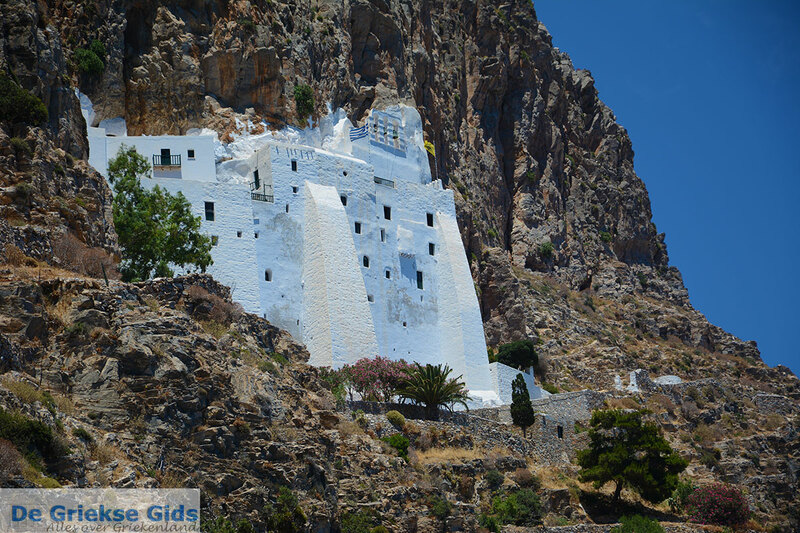 A key attraction in Amorgos town is the Byzantine monastery of Panagia Hozoviotissa (Chozoviotissa). 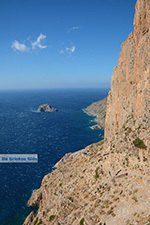 It is just over two kilometers (a little over a mile) east of Amorgos town and is reachable by foot. 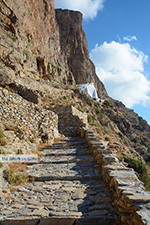 It is also accessible from the main road. It lies near the sea and is built high against the steep rocks. 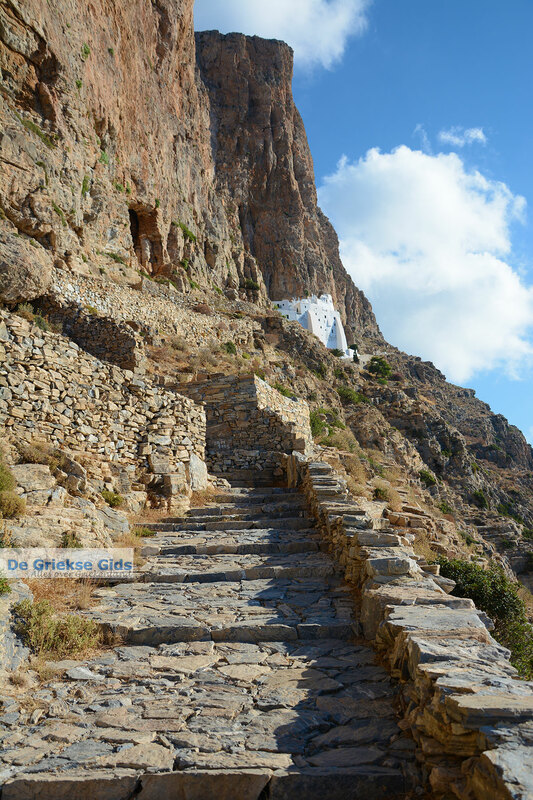 From the parking lot, where you can find a souvenir shop, you can walk up the stone steps. 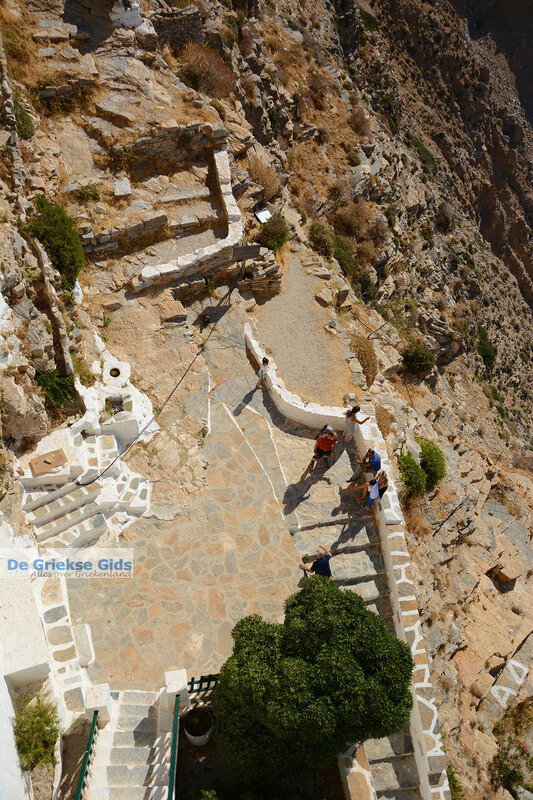 Please note that there are more than 300 steps! 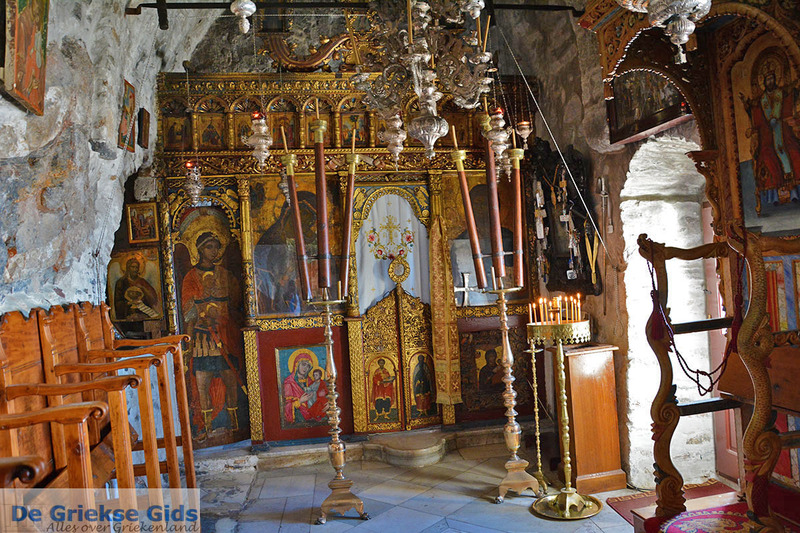 The monastery was founded by the Byzantine Emperor Alexios I Komninos in the 11th century, because miraculously, an icon of the Holy Mother of the Palestinian Chozovo (Jericho in Israel) was unearthed here. 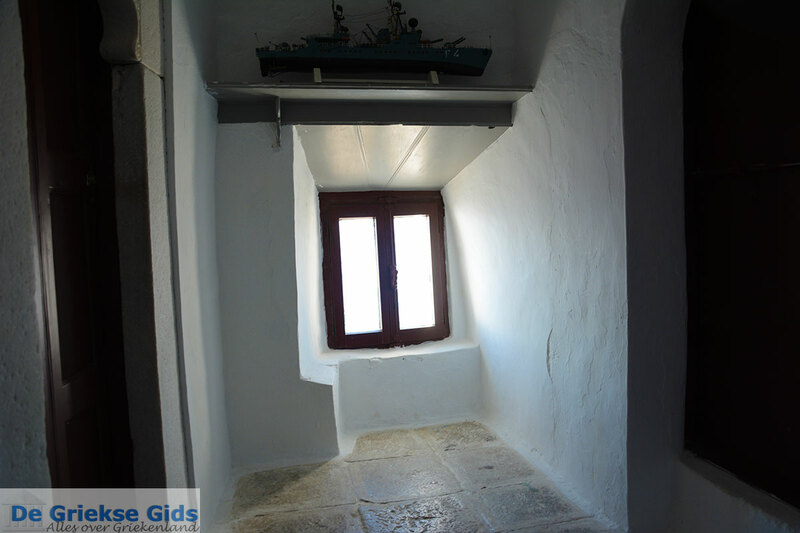 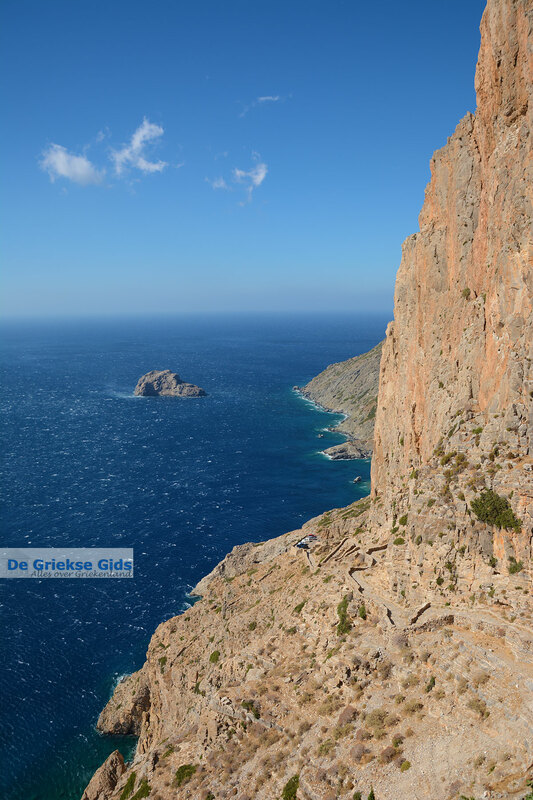 From the monastery you have a fantastic view over the sea and the rugged southern coast of Amorgos. 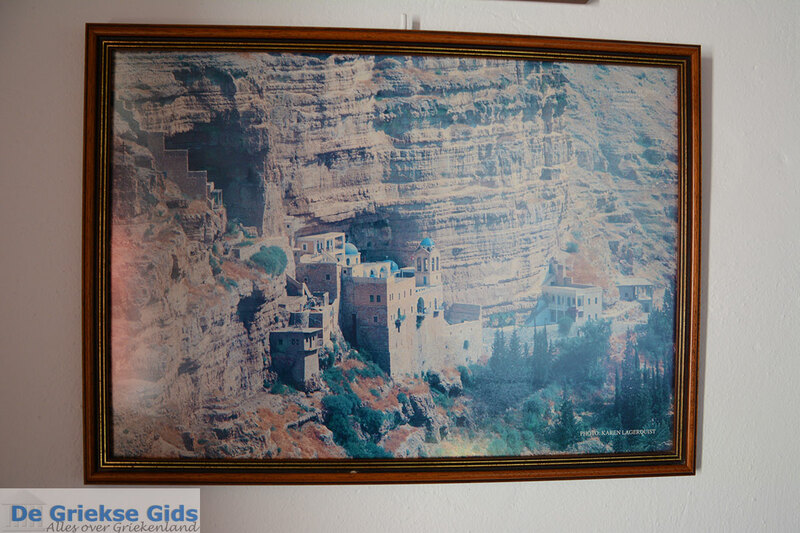 Anyone can visit the monastery. 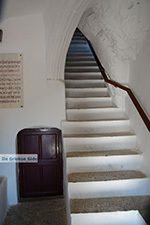 It is open every day in the morning and at the end of the day. 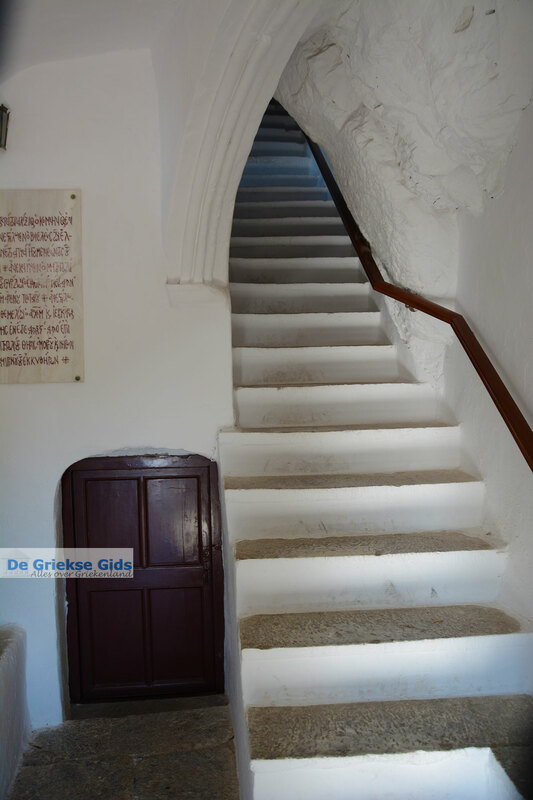 The monastery consists of 8 floors and the maximum width of the building is 5 meters. 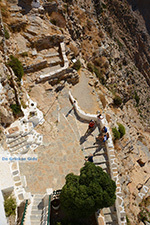 Each summer day more than 300 people visit this landmark. 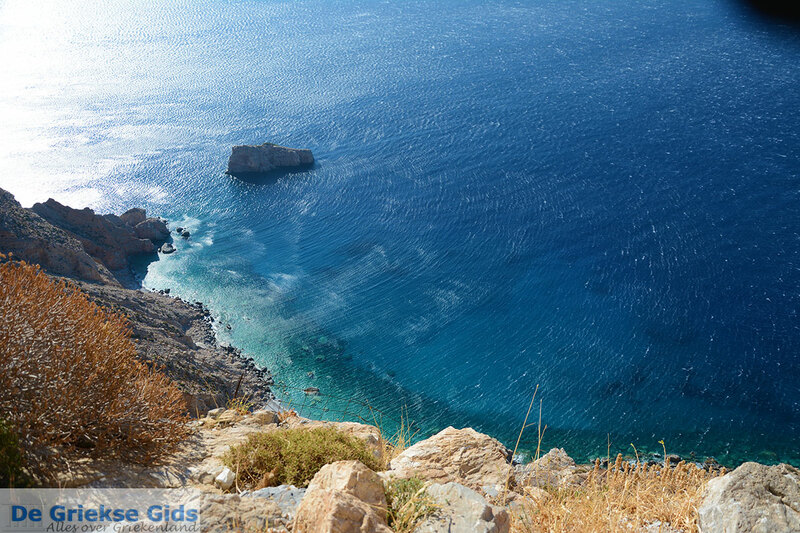 Amorgos: Where on the map is Hozoviotissa located?